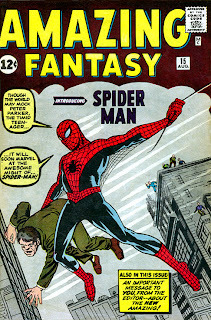 Those familiar with both Spider-Man lore and history, and my personal quest and collection have occasionally asked me about my ultimate intentions to buy Amazing Fantasy #15 – aka the very first appearance of the Spider-Man character and the Holy Grail of Spidey comics. News that a private collector recently purchased a near mint copy of one of these suckers for a cool $1.1 million seems to make this conversation topical for me again. Naturally it boggles my mind that anyone would have more than a million dollars for a single comic book, but then again, the most Iíve ever spent on an issue is in the area of about 1/10,000th of what this issue of AF15 went for, making it the most expensive 1960s comic ever. Stories like this just make it ring truer that this hobby is a major investment in time, energy and probably most importantly, money. If it was just a case of having the time and passion, my collection would have been completed long ago. But since there are financial ramifications, nothing is going to come easy. 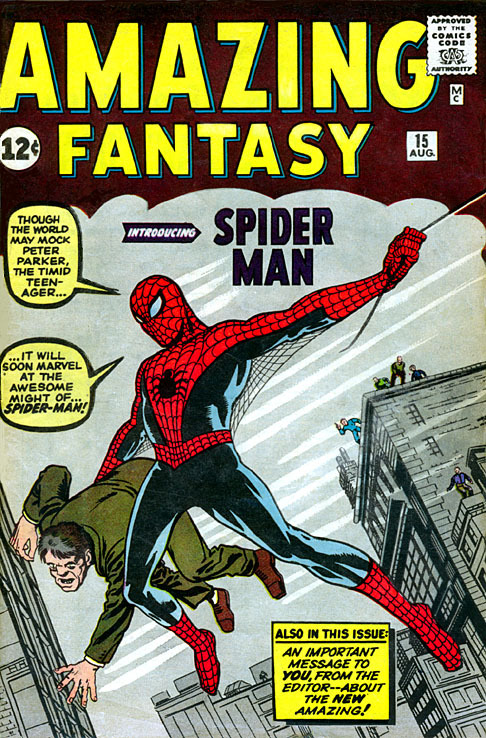 When someone asks me if I want to own AF15 the answer is an obvious yes – why wouldn’t I want to own the very first appearance of Spider-Man? If an AF15 was found on my front doorstep tomorrow, do you think I would refuse to add it to my collection, because the word “Amazing Spider-Man” isn’t tattooed on the top of it? Do you think I wouldnít cuddle with this wonderful, wonderful book for hours on end, inciting jealousy from my wife? But will I ever BUY AF15? Thatís the million-dollar question (in this case, literally). I’ve always maintained a wait-and-see attitude about this particular issue, because even with a half chewed-and-digested cover, AF15 is certain to set you back a ton of cash and I still havenít figured out how Iím going to get the cash together to purchase ASM #1 (and have a little extra leftover for a divorce lawyer after my wife finds out Iím going to buy it). I’ve always imagined the moment I finally get a ASM #1 into my hands – just for sheer drama, it HAS to be the last comic I get to complete the set. There will be in all likelihood, a few tears shed, and a few glasses/bottles of some kind of alcoholic beverage to celebrate (adding more to the total bill). As I get ready to add issue #1 to the very front of the box I have dedicated to issues 1-99, my hands will likely tremble, and Iíll probably slide it in and out a few dozen times to steal some last gazes. And thatís pretty much how I picture it ñ Spidey-nerd Nirvana. But that’s all for issue #1. Have I ever envisioned similar pomp-and-circumstance for AF15? Not really. Does this mean Iím never going to own it ñ probably likely, especially when a ceiling for a near mint copy has been set that high. But, my life and this collection, have taken some strange turns, filled with fits and starts, so who really knows how this will all end up.